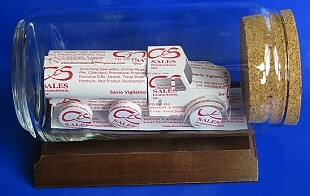 Business Card Sculptures new Tanker Truck Sculpture is a water haulin’ or oil carryin’ tanker that could also represent fuel trucks. You’d likely see this baby in action in highway construction, landscaping or road cleaning. The men and women who drive tanker trucks will love the Bobtail or Tanker Truck Sculpture for a birthday present or to celebrate a safe driving record. You might also direct your attention to Fire Engine, Fire Truck New, Mining Dump Truck, Old Fire Truck, Small Semi, Snow Plow, and the Truck Tractor. Or for a slightly broader mix, the Transportation category. 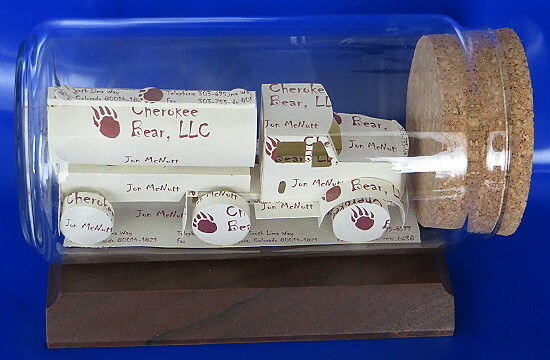 The Tanker Truck Sculpture is all new for 2015 and made from 20 business cards and then mounted on a walnut base and protected by a glass bottle.